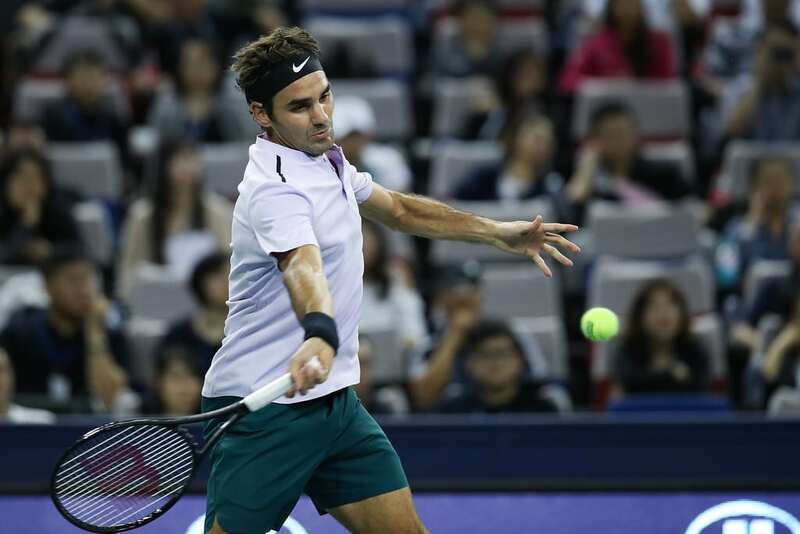 A winning start to kick off Shanghai for the crowd favourite as Roger Federer defeated Diego Schwartzman 7-6(4), 6-4 to move into the third round. The Swiss hadn't played a tour-level match since early September when he lost to Juan Martin Del Potro in the US Open quarter-finals so had to shake off some rust en route to his straight sets win in 93 minutes. The win sees Fed move to 4-0 against Schwartzman in their H2H and bag his 40th match win of the year. On what appears to be a quick surface Roger played aggressive ball from the get-go, winning 14/24 net points and delivering some clutch serves when needed to come through and set up a tie against Alexandr Dolgopolov. Schwartzman won the toss and elected to receive. Roger kicked things off with an impressive to hold to 15. The Argentine levelled for 1-1, but in game four Roger had his first break point chance which he was unable to convert. After Roger held for 3-2 and Schwartzman was done arguing with Bernardes about a line call deemed not to affect his shot, Roger put together a great return game, coming up with a silky backhand pass to set up break point. Schwartzman was able to save two of them, but on the third, he ran out of ideas in an extended rally and dumped a drop shot into the net. Serving with a break at 4-2 Fed then slipped to 0-40 after best returner on tour this year as per the numbers jumped on his second serve. The Swiss saved all three but couldn't fend off a fourth as he dropped serve. 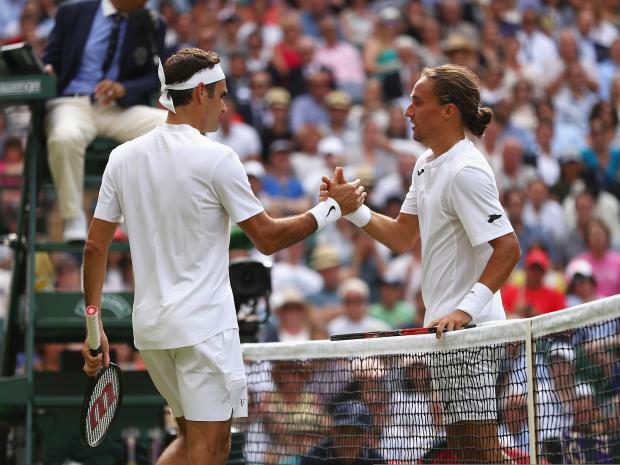 A chance for an immediate reprieve came in game eight as Roger held another two break points but Schwartzman held, and after two more comfortable holds apiece the set went into a tie-break. Into the breaker and a routine forehand, miss gave Schwartzman an immediate mini-break. At 0-2 Roger rifled home a return to get back on serve and won the next 4 points to lead 5-2. That lead proved insurmountable for Diego as Roger took it 7-4. 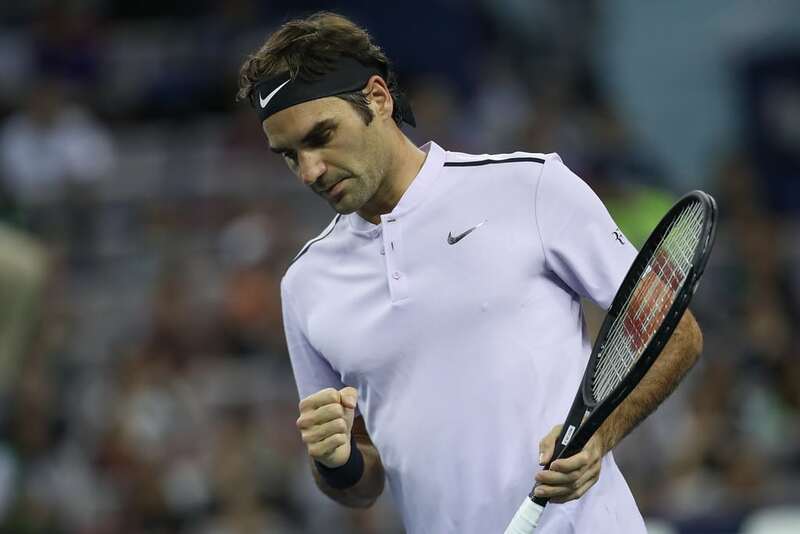 Winning the opener will have been a massive relief for Roger after failing to consolidate the break, and in set two he got off to a great start to break for 1-0. This time he was able to keep the advantage holding for 2-0. At 2-1, Schwartzman fashioned a break point chance at deuce, but Roger held for 3-1, and that proved to be the end of the danger as he dropped just one more point on serve en route to 5-3 before serving it out from deuce to take it 6-4. I knew going in it was not going to be easy because he’s had a great run the last few weeks, months. He was confident. He was shaking off misses, no problems. He was serving well, making the right decisions. He was confident and as an opponent, you can feel that. I felt that today it was going to be dangerous down the stretch of every set. Good start here for the Fed as like I mentioned in my draw post, Schwartzman is a tricky opponent who has the type of game that Roger can sometimes struggle with. Combine that with having not played a whole lot in recent weeks then he was always going to be dangerous but Roger handled things nicely. A few signs of rust, a few bits of lunging to the ball when he wasn't quite on the money movement wise but I thought he looked sharp enough, served big when it mattered and from a cold start his level was solid throughout. Next up is Dolgopolov who defeated Feliciano Lopez in three sets. The Ukrainian has some decent hard court form this season; he played well at the US Open and then made the final in Shenzhen losing to Goffin, so he's going to be match tough. Roger leads the H2H 4-0 and usually handles everything Dolgo can throw at him so it should be an exciting match. I'm assuming after today Fed will be feeling it in the legs after not playing many matches of late. So hopefully, he comes in tomorrow feeling fresh enough as he'll need to defend well and counter the junk ball that Dolgo will throw in. I'll pick Fed in three. Pretty good start here against a guy who's had a top season and was in great form. Perhaps a little rusty but played super aggressive and some solid serving in the clutch. After a while, back in Action. Good to read he done very decent after USO struggle…Hope he gets going…Thank for write-ups as usual. Not bad. Judging from the highlights R looked a bit to be playing in middle gear. Only after the match against Dolgopolov we will see if the gearbox is property oiled. And I will add that Schwartzman is one of my favourite players, the kind that shows that you don’t have to be a muscle giant to succeed in top level sport especially one that has gotten so physically demanding as modern tennis. I agree with you Rui. Schwartzman is a resourceful player with a good mind set. Roger made a good start and will easily pass through Dolgo. Agree too – pity that doesn’t win more, and should meet Roger that early. But a good match for him. – Dolgo might not be easy too, – he plays fast, so it should be a very exciting match. Or the GOAT vs the Dog? Very good win I thought. Needs to fine-tune but he fought off a great player in straight which was delighted to see. Delpo beat Zerev and is looking a bit menacing. Don’t know that I’m as much of a fan of his since the US Open. Good win and it looks like he will back it up with another today! The backhand worries me but I think that’s a natural reaction to judging it by the standards of early this year – fed looks mentally up for it now and that’s the best benefit you can have.